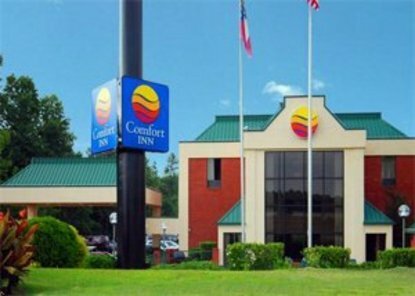 The Comfort Inn is located next to Cracker Barrel. 70 restaurants nearby. 4 miles from mall. Deluxe Continental Breakfast. Fully equipped Business & Fitness Centers. Credit card must be in name of quest. If not, quest must have letter of authorization, with enough money to cover all charges, including incidentials. Reservation could be cancelled without this letter.